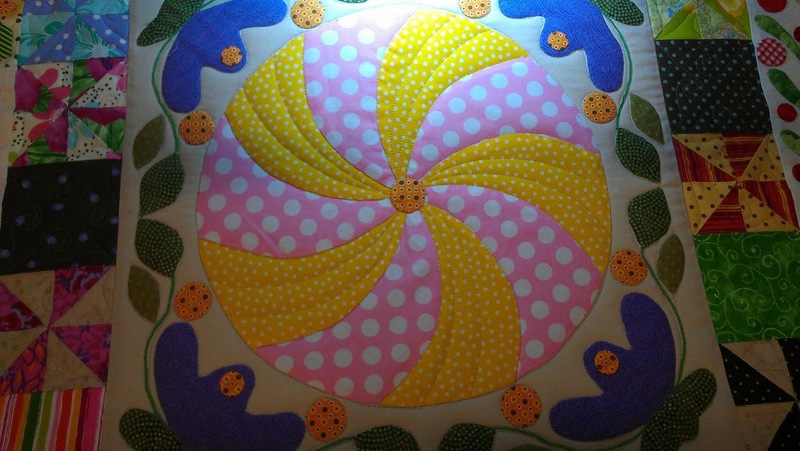 Day one of Kim McLeans Pandemonium quilt for a customer. This quilt is 90"x90" largest background area is about 6square inches. Lots of teeny tiny applique. Bright colours from the same customer who did Flowerpots. 40 blocks quilted, have no idea how many more to do.